A new destination district is emerging near EverBank Field in downtown Jacksonville. Here's a behind the scenes look into the minds of its key players. 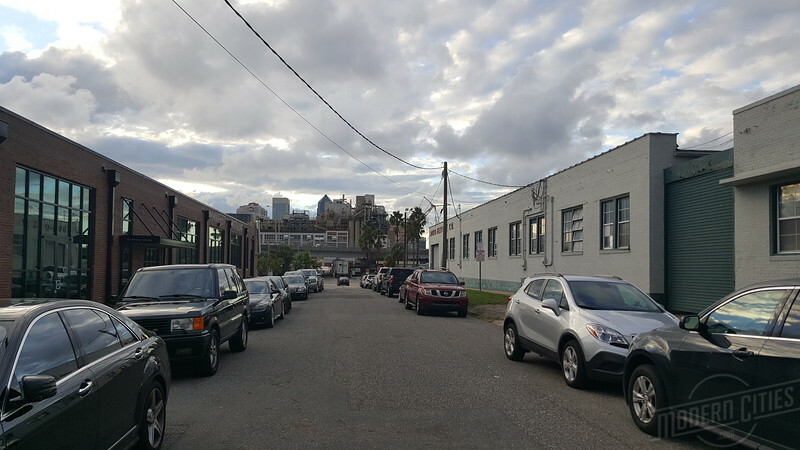 In Jacksonville’s world of historic preservation and architectural heritage, early-20th century industrial buildings rarely receive a second glance. However, a collection of warehouse brick buildings once destined for demolition, are getting a chance at a second life. 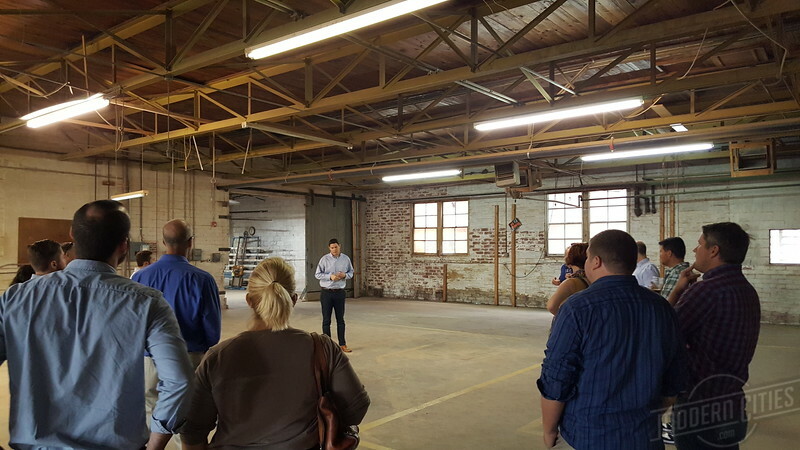 In March 2016, Iconic Real Estate Investments, acquired the George Doro Fixtures Company complex to complement its makeover of the adjacent Noland Building into a craft brewery and distillery complex. Reminiscent of industrial adaptive reuse projects across the country, Iconic plans to transform +60,000 square feet of warehouse space into an epicenter for culinary, cultural and artistic creativity by embracing tenants who will be catalysts in reimagining this forgotten section of downtown. With this in mind, to celebrate National Community Planning Month, twenty local planners associated with the First Coast Section American Planning Association (APA) met up with Paul Grainger of Iconic Real Estate Investments and Ben Davis of Intuition Ale Works for a behinds the scenes look at the moves being made in downtown’s latest emerging destination district. Here’s a look into the visions of a few key players involved in breathing consistent activity into downtown’s Sports District. Paul Grainger narrating a First Coast Section American Planning Association (APA) Adaptive Brewuse tour of the Doro Fixtures warehouse complex. How did you get into the real estate development business? My father, Farley Grainger, was a partner in a real estate appraisal firm for many years. I started there doing commercial appraisals right after graduating from UF undergrad with a finance degree. Valuation and project analysis was a great way to learn and I got to know a variety of property types. Throughout the downturn, we did a lot of work for banks and property owners going through the foreclosure process and I realized my heart just really wasn’t in it. Throughout his career, Dad always had development deals he was doing on the side and after a brief time away from appraisal I began to brainstorm ideas on next steps. I took over management of our existing portfolio and our first new deal together was a purchase in March 2013 via an FDIC auction. We bought the former First Guaranty Bank Training Center on King Street which is now leased to Riverside Liquors. The focus thus far has been on adaptive reuse projects and infill development. Our goal at the beginning was to build a modest portfolio of heirloom properties that would serve as long-term holds. Although I’m not yet a grizzled vet, I love the development business because every day presents a different set of challenges and problems to be solved that require creative thinking and clear communication. What attracted you to the two properties along A Philip Randolph? Potential. A local broker, Julie Bohn, led us to the owner of the Noland Building and we started a conversation about acquiring the property. The timing of The Shipyards announcement was not a make or break factor for us. We viewed any new development at this end of downtown as an added bonus and complement to what we are trying to accomplish. Intuition is such a unique anchor tenant in that they already have brand recognition and a passionate following. We saw the acquisition and renovation of the Noland building as a signature project for us as well as something that would truly benefit our city. The acquisition of the Doro building was a natural next step. Forsyth Street, which separates the two properties, is a vacated private right-of-way which we viewed as a unique opportunity to tie the two projects together as one. The block of warehouses that make up Doro have a rich history and great bones. We love that these buildings with such fantastic architectural elements are situated within the heart of the sports complex. It’s a great opportunity to really change the landscape of this area. 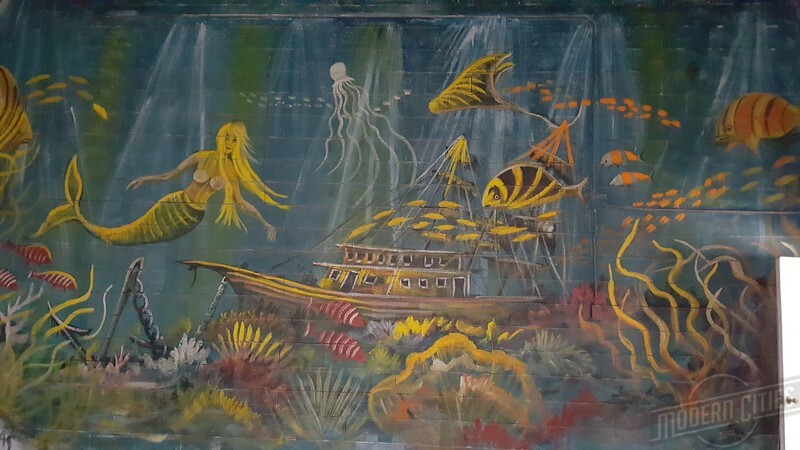 A warehouse wall mural remaining from Doro’s week as a makeshift club during Super Bowl XXXIX. How do you make the area a destination beyond sporting events? Anywhere you take inspiration from in other cities? By our count, there are close to 180 days per year that have some sort of event at the stadium, arena, or baseball grounds. That’s a great starting point. Beyond those days, our focus is on attracting more local users that will be catalysts and collaborators. Both Intuition and Manifest are pioneers for this area and will be a draw for additional foot traffic. However, more entrepreneurial density is the key to truly unlocking the potential here. Bars, restaurants, and other retail uses geared towards making this a true destination are what we are striving toward. When I look at the momentum of a place like Five Points, that’s what I see. A diverse group of local users that provide a variety of options for a night out. An area where you could have a different date night every night of the week. We don’t have a built-in residential base surrounding the sports complex but we do have many characteristics that make it a one of a kind destination for Jacksonville. To that end, we believe that these projects have the potential to be not only a local gathering place and social hub for Jacksonville residents, but also a must-see regional destination for tourists and guests of our city. We want to be a blank canvas for the blossoming talent base that we have here in our city. As far as inspiration, I take it from everywhere! We’ve obviously taken a hard look at many of the areas surrounding sports complexes and arenas in other cities. However, I think it’s important to draw inspiration from those places while remaining authentic to Jacksonville. Areas like Atlanta’s Westside Provisions District, Toronto’s Distillery District, The Source in Denver are all great to study. My hope is that the end product is a combination of inspiration drawn from other cities mixed with some distinct ideas of our own. 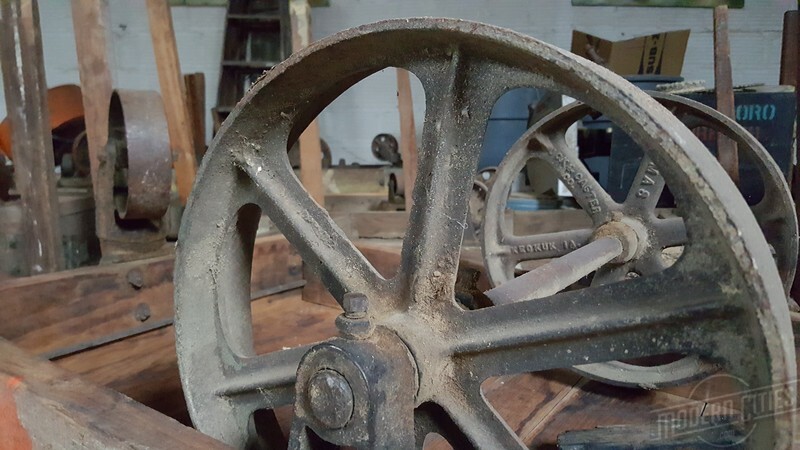 A century of manufacturing has left Iconic a great collection of authentic antique machinery and equipment to include in its adaptive reuse plans.